St George's College offers a stunning location for your special day, a wedding reception in our beautiful grounds is ideal for all size wedding parties. 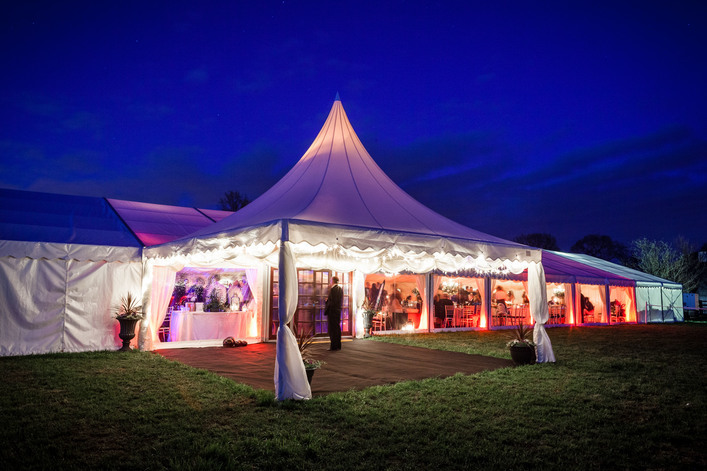 We work in partnership with Alexander Marquees who offer Catering, Marquee and Furniture Hire and can assist with any other requirements you have through their own preferred suppliers. You have the complete freedom to style and organise the wedding of your dreams, from the size and style of the marquee to the type of food and the choice of caterer from one of their preferred suppliers to make it suited to your own requirements and budget. Our ground hire price is for three days to include set up the previous day, and for take down the day following your wedding.